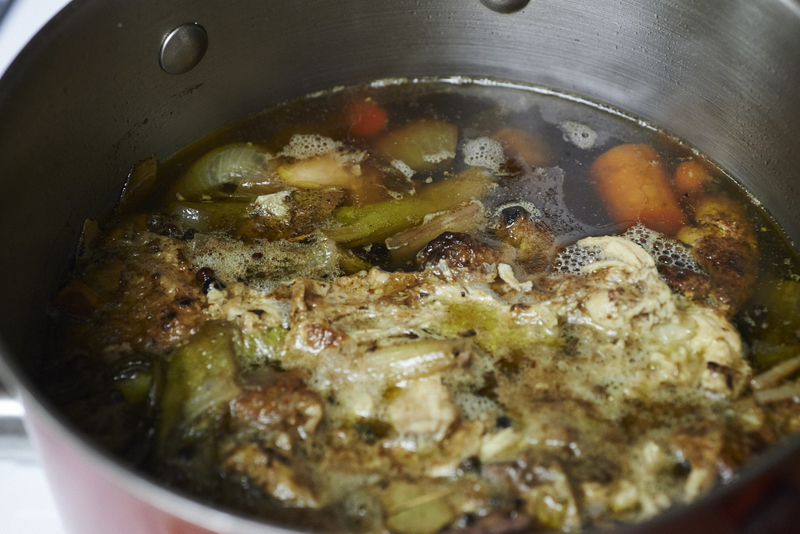 Step One: Rough chop your normal stock veggies like carrots, onion, garlic and celery and add to a heated stock pot with EVOO . Add peppercorns, 2-3 bay leaves, some fresh sage and a few pinches of salt and let simmer for 8-10 min. Deglaze the pan with about 1 cup of red wine and let it reduce by half. 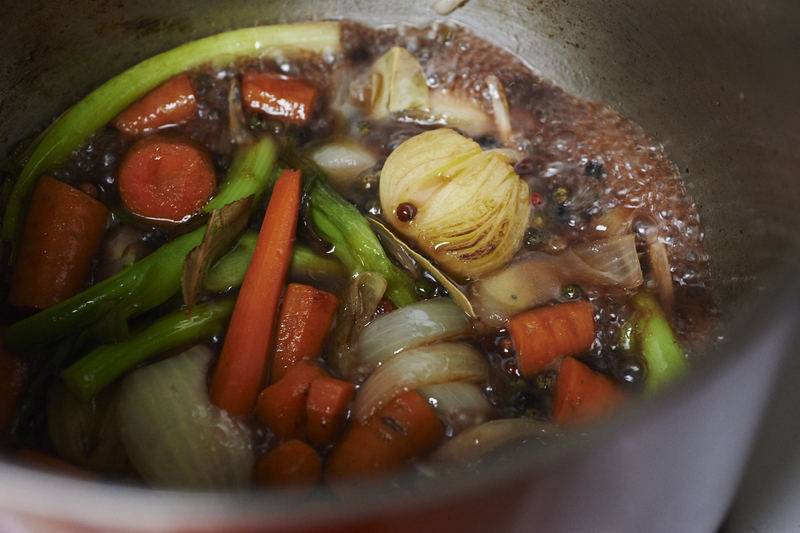 This method of deglazing your stock veggies creates a really rich flavor and adds a nice dark color to the broth. 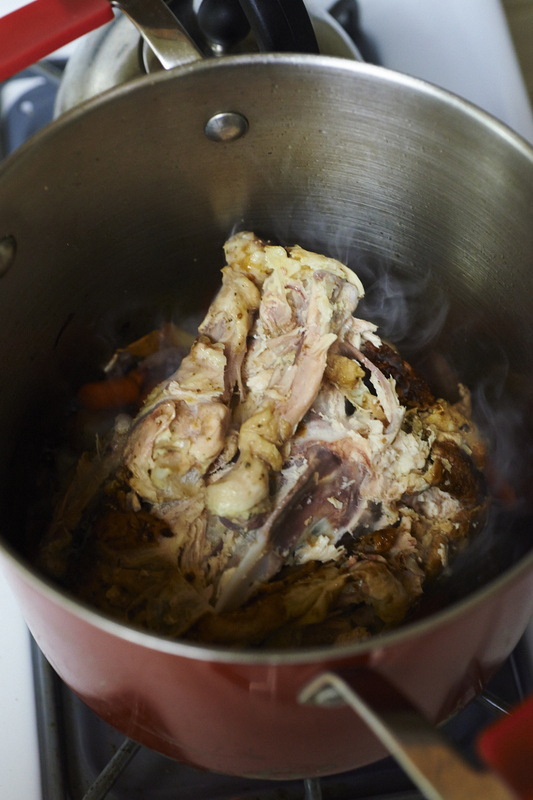 Step 2: Add your left over chicken carcass and cover with about 8 cups of water. Bring to a boil and reduce heat to a low simmer. Let the stock cook uncovered for 1-3 hours (the longer the better). Step 3: After a bit of cooling, place a strainer in your dutch oven and pour the contents of the stock pot though the strainer to separate out your homemade broth. 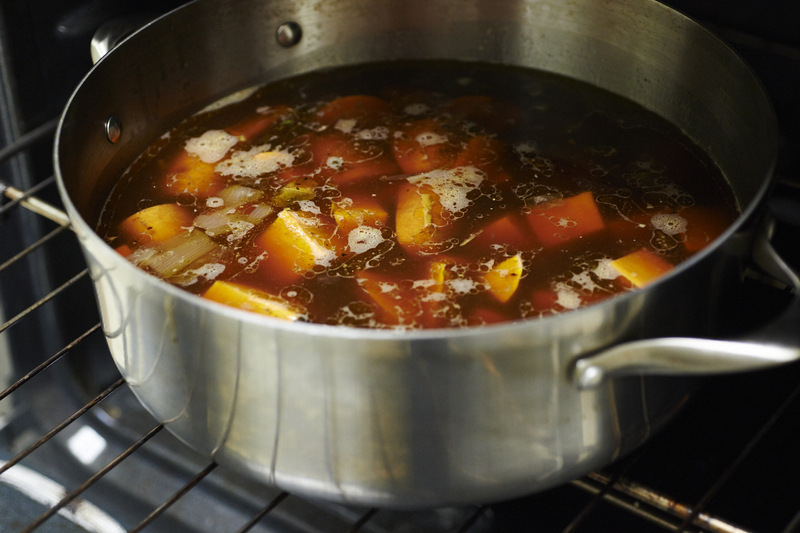 Give 8 medium sized sweet potatoes a rough chop and add to your broth in the dutch oven. Feel free to add a handful or two of chopped fresh carrots and celery as well. Place the dutch oven into your 400 degree oven for 45 minutes or until the sweet potatoes are fork soft. 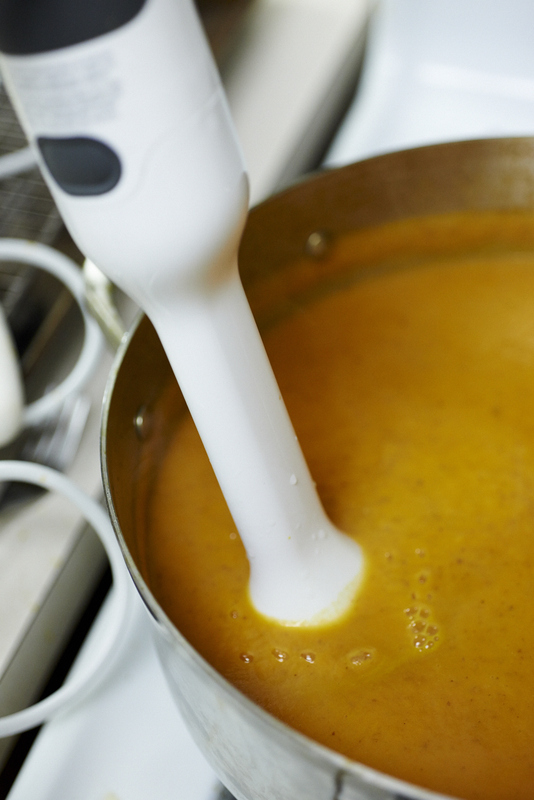 Step 4: Remove from oven and puree with an immersion blender. Salt and pepper to taste and serve! 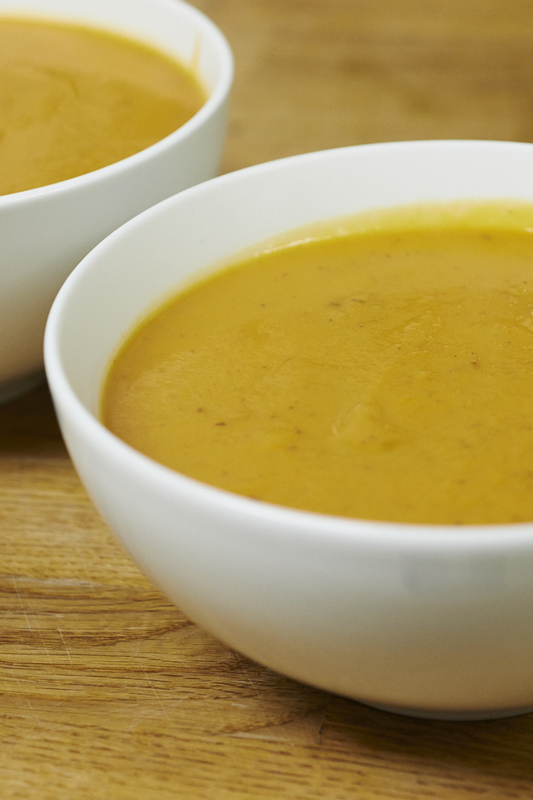 Nice and easy, healthy and warm. Mmmmmm!